Need to know the postcard rate in Czechoslovakia in 1920? Have a Scott catalog number and need to know the Michel number? Want to learn more about the Inverted Jenny? Every day, APS members turn to the library staff with questions like these, and our library staff uncover the answers. We can help you search our online catalog, provide more information about a book or journal in our collection, and even recommend resources on your topic. 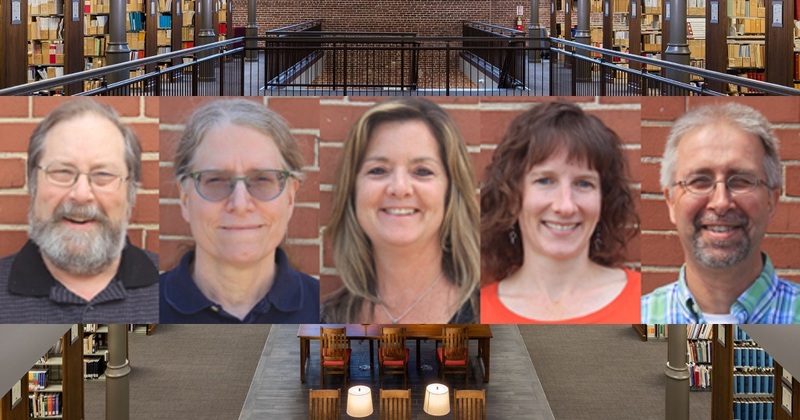 For National Library Week in April, we featured each of the APRL’s five staff members on this blog. We are experts in philatelic literature, and we can help you build your knowledge and enjoy your hobby to the fullest. Visit our library services page to learn more about what we can do for you and how to get in touch with us. I do need some APS Library research help … used copies of the early German states stamps are typically cancelled with a circular hand stamp that has a number in the center … apparently you can tell the city/town of the cancellation from the number in the cancellation. Is there a good reference book ( … or two, or three) that contains these numbers and cities/towns of origin? … I could search for it out on eBay.